Hilary Cox; Alice Hawkins; Terry Heyes; Judi Hibberd; Janet Hickinbottom; Bron Putnam; Diane Swindells Rona Taylor ; Faith Ward; Mary Webb. Apologies had been received from Andrew Gibbs and Cllr Vaughan Owen. Cllr Whitehouse had not responded about funding for Speedwatch. Allan said he had received CSW Broadband news. The Tile Hill exchange was to be upgraded from April onwards. Residents should register their interest and apply to upgrade via BT. It should be possible to do so via other providers. Allan agreed to write something for the Bugle and to attend an event in late April where he would guide people through the process. Terry explained it had been a busy time with many outgoings. As a result, total funds were down £1300 from 2 months ago but much of the expenditure was from ring fenced funds. £750 had been paid as a deposit for the June circus event. (Funds had been transferred from the deposit account). Hopefully this money would be refunded through ticket sales. Service and maintenance of defibrillator was expenditure and an application the Parish Council had been successful. Judi would write a letter of thanks. A further application would be made to Kenilworth Forum. The World War 1 event had raised £61 profit. There had been some concern expressed by a resident that new 30mph signs had not been erected at the Coventry end of Cromwell Lane. It had been explained that the entry route was already a 30mph area. A query was raised as to whether the flashing sign (currently deactivated) would be changed to 30mph. Many residents were still perturbed that the speed limit had not been reduced to 30mph throughout the whole village. 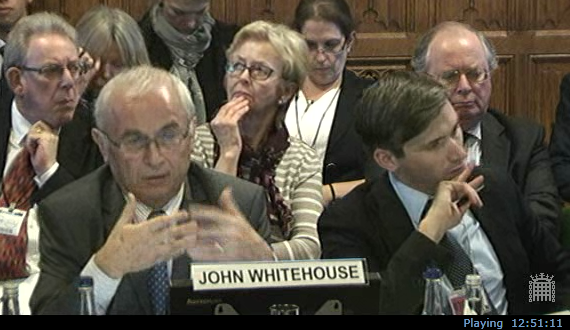 Rona would write to John Whitehouse to thank him for all his efforts so far but that more needed to be done. There were mixed views about the impact of the change in priority over the Cromwell Lane bridge. Some felt it was an improvement but many were concerned that poor visibility made it difficult for drivers approaching from the Red Lane end. The problem was often added to by inconsiderate parking. The situation would be monitored. Everyone agreed that all those petitioning, whether individuals or representatives of village groups, had done an excellent job and were to be commended. The Chair of the Select Committee thanked everyone for coordinating their petitioning as all had tackled different subjects via a cohesive campaign. Thanks were expressed to Rona in particular for presenting the Residents’ Association petition. Speedwatch - Pat Hehir and Terry Heyes had done a couple of sessions recently. The overall impression was that people had slowed down. This might be slightly artificial because motorists alerted others when Speedwatch was in operation but very few were speeding to the extent they used to. Speedwatch was certainly a deterrent. Great commitment from the Speedwatch team was commended. Welcome Pack - Judi circulated a draft leaflet. Amendments were suggested and others should be forwarded to Judi. A final version would be available at the next meeting. Website - Following much discussion, it had been agreed that John Webb’s site was the best place for BGRA information and John had kindly agreed to make a Residents’ Association page. Janet and Judi agreed to write to thank him. Impact of traffic from the Warwick University roadworks was great on Burton Green. The length of time had increased and temporary traffic lights meant many cars were seeking alternative routes including through Burton Green. Rona would mention traffic problems in the chair's report in the Bugle. The next Retired of Burton Green meal would take place on February19th with a Valentine theme. It was now necessary to hold these events in school holiday times when the hall was not being used. The police had agreed to attend before the lunch to talk about crime prevention. 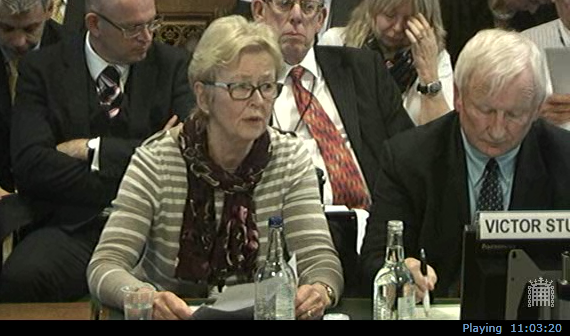 Footpaths and potholes - Mary Webb, Faith and Nigel Ward, Sue and Nick Hogue had met Peter Hallam and pointed out problems. He had agreed to a programme which included the community service cutting back hedges overhanging footpaths in Red Lane. All work was funding dependent. Cllr Owen was to be asked to contact Severn Trent about a blocked gully. June 20th event - The planning was well underway for the circus event. The performers were booked for two hours to include audience participation. Ticket printing would be arranged for free by Ian Cox and pricing was to be £25 family; £10 adult; £5 under 16. To break even an income of £2000 was needed. Thanks should be given to the Stanworths for offering their field again. It was proposed to have a raffle for one big prize and the Jubilee Committee was researching this. The event would open at 5:30pm with the performance beginning at 6:30pm. It was pointed out that the date conflicted with a major Balsall Common event so the committee would look at alternatives. The Bugle would be going to print on March 9th. The Parish Plan had been presented to the Kenilworth Forum on December 16th 2014 and was now doing the rounds of WDC. 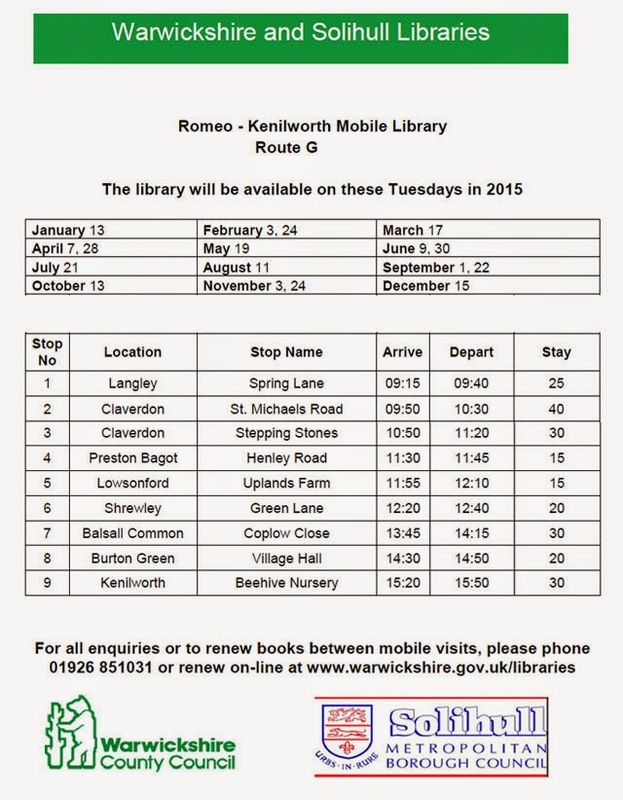 As a result the mobile library service had been in contact with details of its availability. Following a request to donate a bulb, a large sack had been presented by a new resident and were in the process of being planted. Adrian Hickinbottom had planted some by the Hodgett’s Lane entrance and Barry Putnam was to plant the rest. At the next meeting the committee would consider whether there were any further implications of the Parish Plan. 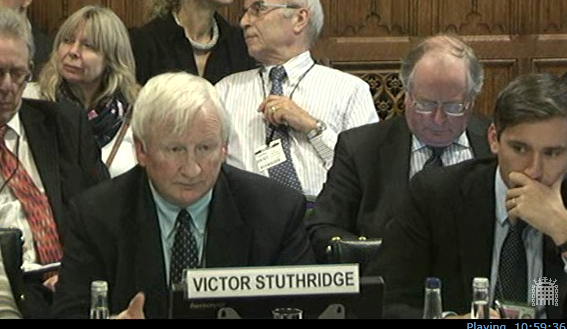 Vic Stuthridge had petitioned on behalf of the Village Hall. Might there be funding available from community fund? 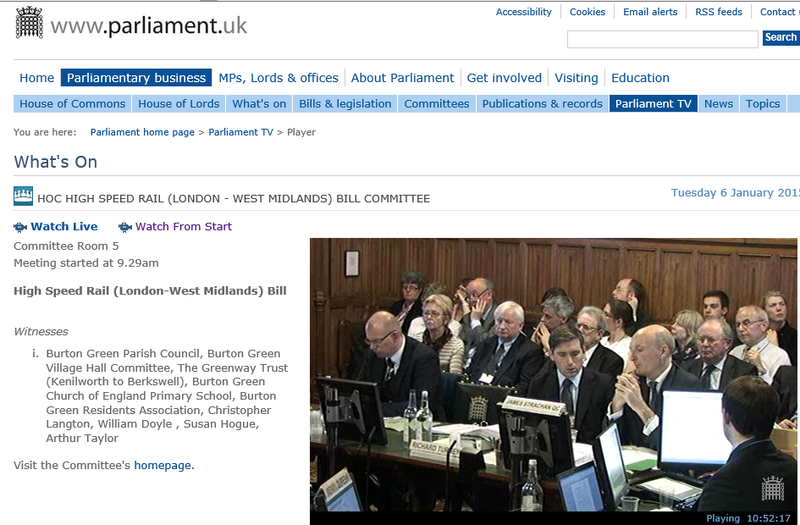 The Select Committee had acknowledged Burton Green was a special case. HS2 had indicated the Village Hall should be vacated by Sep 2017 but no formal meeting had been held since the end of November and HS2 was now keen to meet. On Friday January 23rd members of the Village Hall committee were to meet with representatives of the District Council and planning officers to look at potential sites for the new hall. Bromwich Hardy had written to those who put forward potential housing sites to ask if they would be interested in putting forward their site for the village hall. There were 12 potential sites. Next would be an informed consultation with the community e.g. Parish and Greenway. Cheryl would write an update for the Bugle. 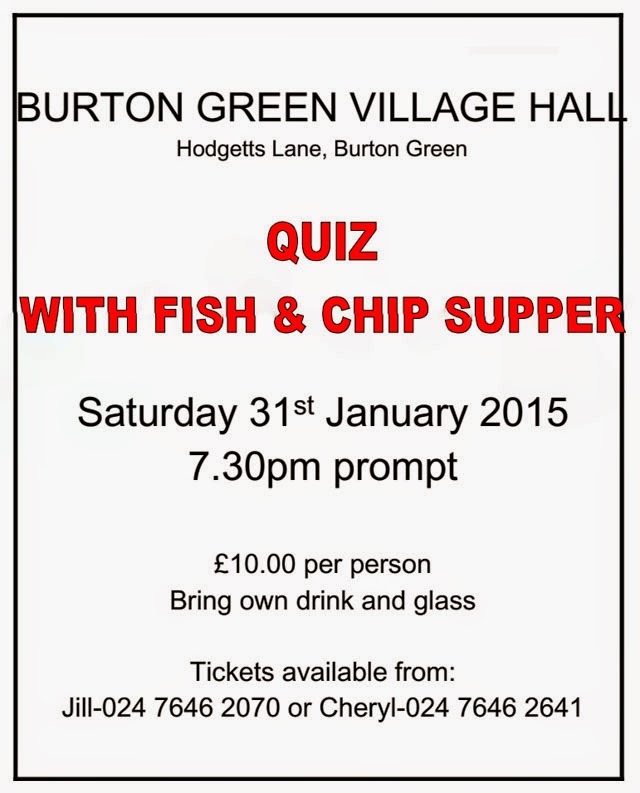 A Quiz Night was to be held on January 31st. Andy had been unable to attend. The Opposition Group had been focusing on supporting individual petitioners. Thanks were extended to Andy Gibbs and Archie Taylor for acting as witnesses for the BGRA petitioning. Cllr Owen had sent his apologies. A Heart Start annual renewal course was to be arranged in March. Alice would contact Vic to sort out a date. She would also write something for the Bugle. Faith said the Friends of Burton Green School were planning a Burns Night supper with ceilidh and piper plus bar in the village hall on February 7th. A large building construction at Red Lane Poultry Farm was queried. It was believed that the building had been stopped for an investigation. Hilary would check with the Parish Council. Broadwells Park Homes. Ann Blacklock had asked for photos of the site before the construction work had taken place to use as evidence. Google Earth maps were suggested. Some residents were concerned about the removal of hedging. Rona would check the current situation with Vaughan. The next committee meeting would take place on March 10th at 7.30p.m.at the Village Hall. The mobile visits Burton Green Village Hall every three weeks on a Tuesday between 14:30 and 14:50. The next visit will be February 3rd 2015. 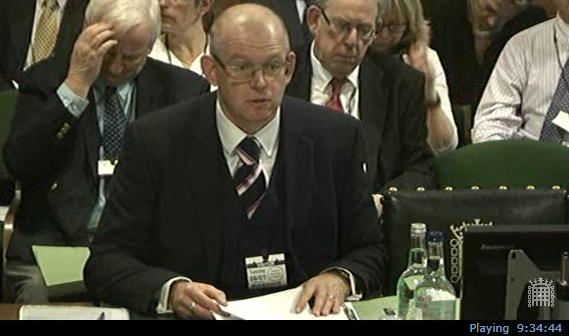 There are various news reports in the media today, reporting a House of Commons Public Accounts Committee review of HS2. The headline 'Public Accounts Committee Mauls HS2' comes from a trade publication (here). The BBC report has more than 400 comments, which have been added within a few hours, the large majority highly critical of the scheme. HS2 is unlikely to provide value for money. An economic case not not been proven. The Channel tunnel high-speed rail link, HS1, failed to deliver anticipated regeneration benefits in Kent. HS2 believes that HS2 and HS3 could be built simultaneously but it seems unlikely that industry has the skills to do this. The DfT had not provided a clear explanation for why an assessment of a high speed rail line between cities in the north of England was not carried out before HS2 to test whether improving connectivity in the north was a greater priority. 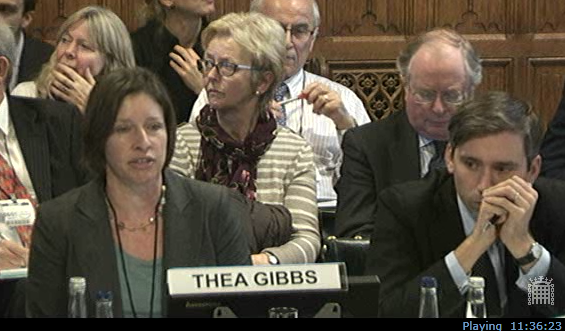 On Tuesday, Wednesday, and Thursday this week (6th-8th January) various local organisations and some individual residents are making presentations to the HS2 Select Committee. Presentations by Burton Green Parish Council, Burton Green Village Hall Committee, The Greenway Trust, Burton Green Primary School. Presentations by Burton Green Residents Association, Christopher Langton, William Doyle , Susan Hogue, Arthur Taylor. Presentations by Kyn and Vicki Aizlewood, Anthony Cotterill, Bretton Adams, Peter and Janet Stanworth, Ruth Jackson, Sandra and David Perkins, James and Alison Fielding. Presentations by Christopher Blomfield, Shaun Pitt, Derek Silk, Ann and Ian De Worringham, Deirdre and Michael Vernon. Presentations by Brian and Elsa Halling, Betty Woodward, Margaret Fellows, Patricia Rowe, Michel and Jacqueline Lynch, Alan and Patricia Deeley. You may see a test screen, without sound, for several seconds before a session begins. I tuned in to BBC Parliament first thing on Tuesday morning. 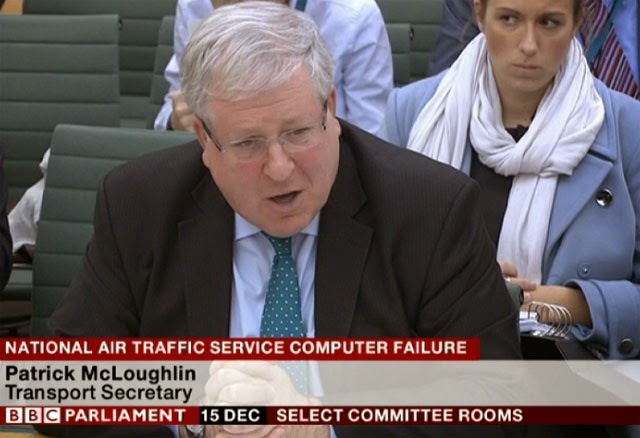 That was showing Transport Secretary, Patrick McLoughlin. The poor man was was trying to explain his other recent debacle, the shutdown of the Air Traffic Control computer system. The failure to ensure that a critical system was resilient was ultimately his responsibility.